Vitamin C – More than you care to know about it! Recently, a patient asked me about a specific vitamin C product, basically whether it was worth paying a premium for. In order to offer them the most accurate answer I could, I decided to confirm a few facts before replying, and ended up going down bit of a rabbit hole. Vitamin C (ascorbic acid) is a an often over-looked (probably owing to it’s ubiquitous nature), but very valuable nutrient, protecting against heart disease and cancer; and supporting immune system activity and eye health, but where we use it most is in recovery from tissue healing (e.g., disc injury, sports injuries, etc.). How much vitamin C should I take daily? At this writing, the recommended daily allowance (RDA) for vitamin C is 60 mg daily, an amount that can be consumed by eating a single orange. That said, experts disagree that this an optimal daily intake. Most vitamin C supplements offer 1000 mg per dose, and in the recent past, recommendations of 5000 or 6000 mg daily were not unusual. For optimal vitamin C levels, research demonstrates that complete plasma (“blood”) saturation (i.e., the blood is as full as it can be) of vitamin C occurs at doses of 1000 mg daily. White blood cells (i.e., cells of the immune system) were vitamin C saturated at even lower doses of 100 mg daily. Should I take my vitamin C all at once? No. Much of the vitamin C taken in a 1000 mg capsule will be excreted in the urine. At doses of 100 mg, no vitamin C is excreted in the urine (i.e., your body “keeps”, and presumably uses, it all). At doses of 500 mg, bioavailability (i.e., the amount that enters the blood) begins to decline. This suggests, in order to not “waste” your vitamin C supplement, you should separate your intake into doses of less than 500 mg. Importantly, slow-release vitamin C, which theoretically would allow for more complete absorption of higher doses of vitamin C, resulted in 50% lower absorption of 1000 mg of vitamin C in at least one study. Ultimately, after at least one month of supplementation, users of both slow-release and regular vitamin C had equal blood vitamin C levels, but clearly, added cost for “slow-releasing” is not warranted. How about “buffered” vitamin C? Persons finding they experience digestive upset when using vitamin C are often directed to use “buffered” vitamin C products – mineral salts of ascorbic acid (e.g., calcium ascorbate), which are less acidic, and therefore thought to be less” irritating”. There is little scientific support for this assertion. Importantly, at the 1000 mg discussed above, the common digestive side effect of diarrhea, which may be mistakenly attributed to the acidic nature of vitamin C, is unlikely to occur. How about vitamin C products combining bioflavenoids? Bioflavenoids are plant chemicals that act as antioxidants, and are reputed to improve absorption of vitamin C.
Although they do add value to a product that is used for the purpose of antioxidant action, the research does not support that the vitamin C absorption of that product will be increased. Zelman KM. Benefits of vitamin C [Internet]. WebMD. [cited 2018 Sep 14]. Available at: https://www.webmd.com/diet/features/the-benefits-of-vitamin-c#1. Vitamin C [Internet]. Government of Canada. [cited 2018 Sep 14]. Available at: https://www.canada.ca/en/health-canada/services/nutrients/vitamin-c.html. 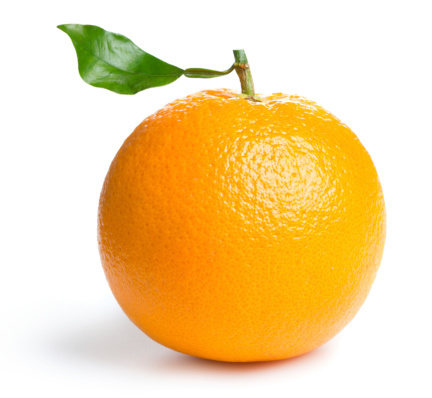 Oranges, raw, Florida, nutrition facts and calories [Internet]. SelfNutritionData. [cited 2018 Sep 14]. Available at: https://nutritiondata.self.com/facts/fruits-and-fruit-juices/1969/2. Levine M, Conrey-Cantilena C, Yank Y, Welch RW, Washko PW, Dhariwal KR et al. Vitamin C pharmacokinetics in healthy volunteers: evidence for a recommended dietary allowance. Proc Natl Acad Sci USA [Internet]. 1996 Apr 16 [cited 2018 Sep 14];93(8):3704–3709. Available at: https://www.ncbi.nlm.nih.gov/pmc/articles/PMC39676/. Oregon State University. Linus Pauling Institute [Internet]. Supplemental forms. [cited 2018 Sep 14]. Available at: https://lpi.oregonstate.edu/mic/vitamins/vitamin-C/supplemental-forms.